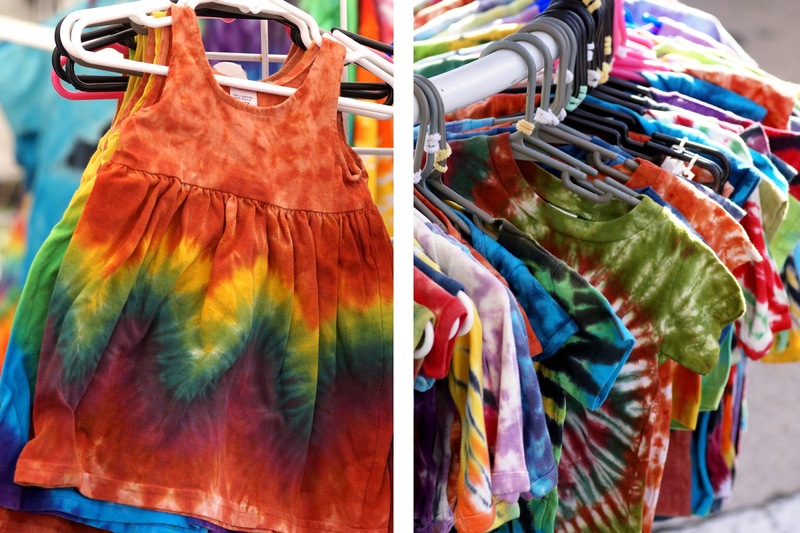 A True Master in Traditional Tie Dye, Tweaked with a Twist. Vibrant Colors Creatively Dyed in Comfortable Cotton Wear. I have a special place in my heart for tie dye. I’ve tried my hand at this classic summer craft many times, and I will admit that I still wear several of the pieces I made years ago. 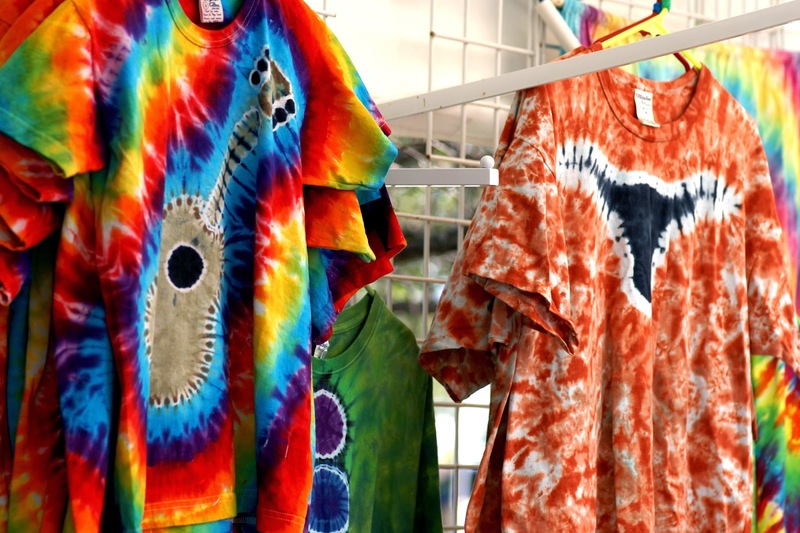 However, any of you who have never attempted tie dye for yourself, you probably don’t know how hard it actually is to achieve such amazing designs as those fashioned regularly by artists like Austin based Catherine Reynolds. 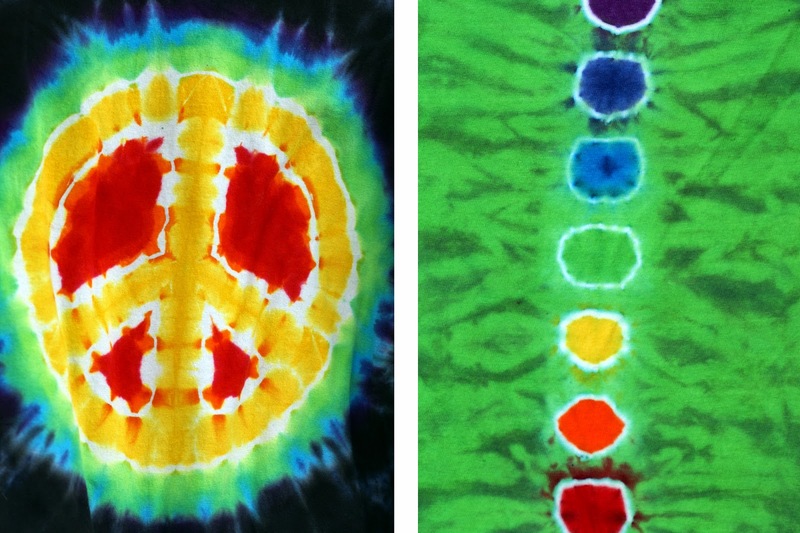 The art of tie dye is known for vibrant colors and a characteristic swirl, and yet, Cat shows us that you can do so much more with this technique. All it takes is a little creativity, an open mind and patience. 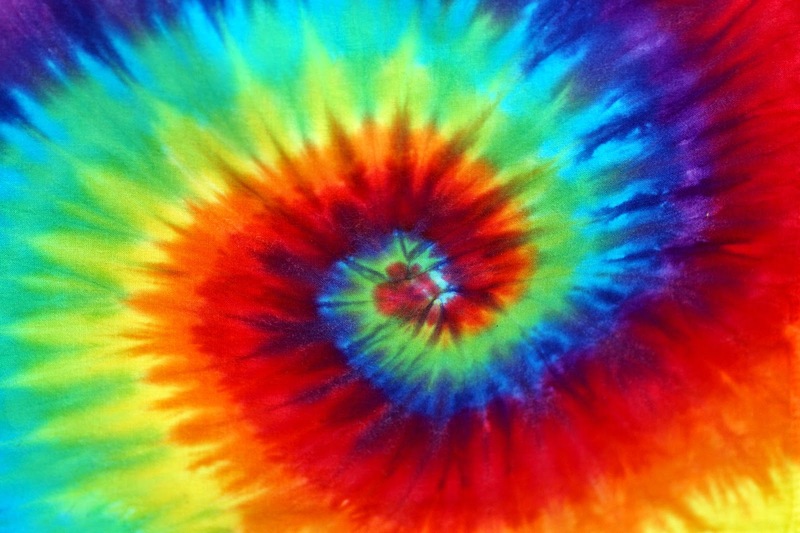 Most pieces of tie dye starts as plain fabric, a blank canvas with infinite potential. Cat uses high quality cotton for all of her work, be it T-Shirts, Shorts, Child's Onsies or Pet Sweatshirts, among many others. If it will absorb dye, it can be tie dyed! She then maps out the design she wants to achieve and bunches the fabric accordingly. Some of the really striking pieces of hers that I've seen include Guitars, Bats, UT Longhorns, Polka Dot motifs, and of course, the Classic Swirl. Dye is applied in just the right places with a particular color combination. Then her work must sit before it can be unbunched to discover the results. Cat has become quite adept at her favorite patterns so she has no trouble producing them in large quantities, but each creation is one-of-a-kind. You never really know what you're going to get until you undo the "ties." 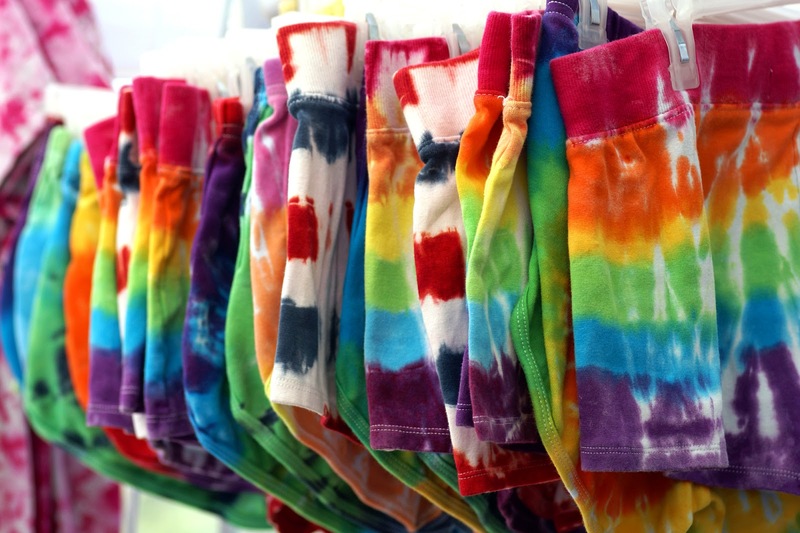 For most tie dyers, that was half the fun, but it can be a challenge if you're hoping to get a particular look. Cat also accept custom commissions. I imagine it's wonderfully colorful to live in Cat's world, and I'm so glad she shares her vision with us!